RIVA was born from a simple yet powerful idea: That a legendary audio guru coupled with passionate designers, patent awarded engineers, pioneering rock ‘n’ rollers and leaders from the world of commerce could recover the world from mediocre audio. 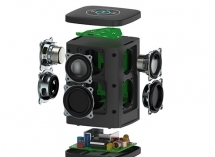 RIVA designs best-in-class audio products for people passionate about music seeking great performance, value and enhancement of their modern lifestyle. Visit RIVA at CEDIA's High Performance Audio Room #23A. 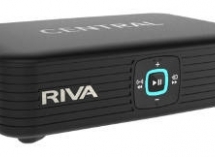 The capabilities and installation options for Riva Audio's WAND wireless multiroom system grow with the addition of the $399 Central wireless amplifier that can be connected to various sources and legacy speakers. Think of the Riva WAND series of whole-house audio speakers as a convenient and easy to use gateway into the world of multiroom audio. RIVA Audio’s multi-room wireless ‘+’ WAND Series distinguishes itself from Sonos with open API, Hi-Res Audio, immersive sound, and margins for integrators; retails at $249 and $499 price points.